Ski Tuning 101 - 6 Awesome Years! Ski Tuning 101 is the #1 site on the web for learning how to tune your skis! 2015-2016 is the 6th year the blog has been helping people all over the world teach themselves to keep their skis in awesome shape. Ski Tuning 101 - now in HD! 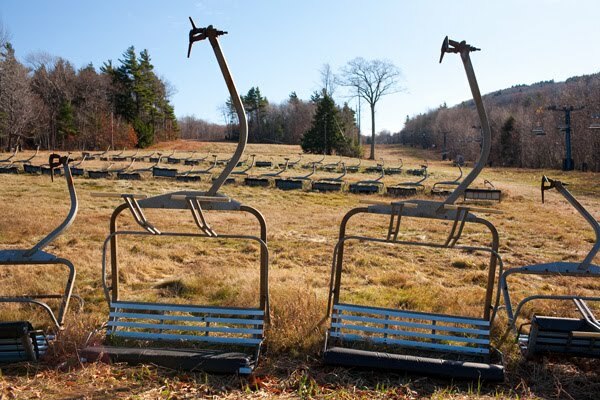 Sometimes a hot topic for debate, this final post of the 2009-2010 season will address the issue of properly storing your skis for the summer. When it comes to summer storage, the name of the game is WAX! Lots and lots of wax. First though, you’ve got to make sure your skis are clean. This is especially true if you have been doing a lot of spring skiing on dirty or salted snow. It might seem strange, but once you are ready to hang up your skis for the season, throw them in the shower first. Rinse off the bases, topsheets and bindings, then hand dry the skis as best as you can. The bindings will still have water in them, so let the skis air dry overnight. Alternatively, use wet paper towels to remove dirt from the ski. By no means essential, but it’s not a bad idea to give your edges a full tune before the summer. This will ensure that dings and dents don’t develop into havens for rust. Think of it like brushing your teeth to prevent cavities. At the very least, give them a once over with a soapy paper towel to get all the grime off before you throw them in the shower. See my posts for photo instructions for sharpening the Base Edge and the Side Edge. These next few steps are essential to preventing the edges from rusting/corroding, and the bases from drying out. If you have seen a ski base turn white, it is dried out. I used to call this circumstance oxidation, but apparently ski base oxidation is now a debated topic, so lets just call it dry base syndrome. After hot waxing, lay down a THICK layer of warm wax, like Swix CH10. Put down at least twice as much wax as you normally would, making sure that the molten wax drips over the edge of the ski. Then just let the ski cool. No scraping or brushing this time. The purpose of this is to seal off the base and edges from the air, which contains moisture. Moisture leads to rust, and exposure to air can dry out the bases. This thick layer of wax, also known as storage or traveling wax, will also protect the skis from becoming damaged if they get moved around over the summer. The whole idea here is to seal off the base and edges from the elements. Warm wax works well for this because it has a low melting temperature, so it is easy to melt large quantities of it, ensuring it covers the edges. If you live in a humid part of the world, try not to store your skis in a basement or garage where there is a high moisture content. If possible, keep your skis in a cool, dry place, away from sunlight. Use a ski strap or tape to keeps the skis base-to-base and secure, so that next season all you have to do is scrape off the storage wax, and you will be ready to go! Summer storage for ski bindings is another hotly debated topic. Some people say that the DIN on ski bindings should be turned down for the summer, easing the tension on the springs, others say it doesn’t matter. I’ve never heard a definitive answer from any manufacturer that is able to site empirical evidence one way or the other. So my advice is: don’t worry about it! If this is something you are concerned about, call the manufacturer of your ski binding and ask them.